Planning to get one computer system for your grandma but worry about the complexity that they may need to face that ended up the system got to be stayed in store room without being fully utilized? Not to worry now, the firstSTREET, an online marketing company has just unveiled a new computer system, named as Go computer with this in mind that allows senior citizens to be able to enjoy the internet and computer usage in daily life. The new product is an outcome of the testing results conducted with more than 10,000 senior citizens over 8 years with all the feature sets being tailored specifically for them. 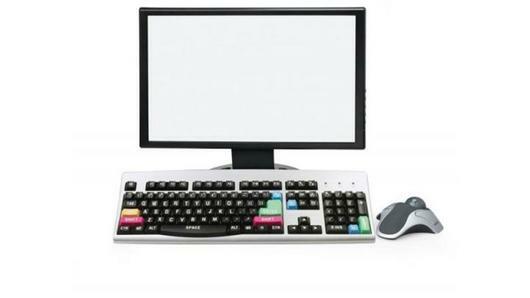 Featured with a 19-inch LCD monitor embedded with an unknown CPU behind the panel to conserve space and avoid confusion, the system is designed with over-sized keyboard and color highlighted keys that simplify the typing and accessibility to important functions. While these seems to be crucial for elderly folks, what is more important here is the user-friendly interface that allows them to click and access the functions easily. On the top side of the screen, there is a relatively large ‘Go’ button as and when users click on it, it will bring up a drop down options for them to access internet, print documents, sharing digital images to others and etc. The Go computer will be retailed at $799 which is quite affordable even through as an second PC system in your digital home. To make it a one-stop solution, users can opt for a peace of mind support package that costs $19.95 per month to ensure elderly folks able to enjoy computer usage with 30-days money back guarantee in case it is still not usable for them.